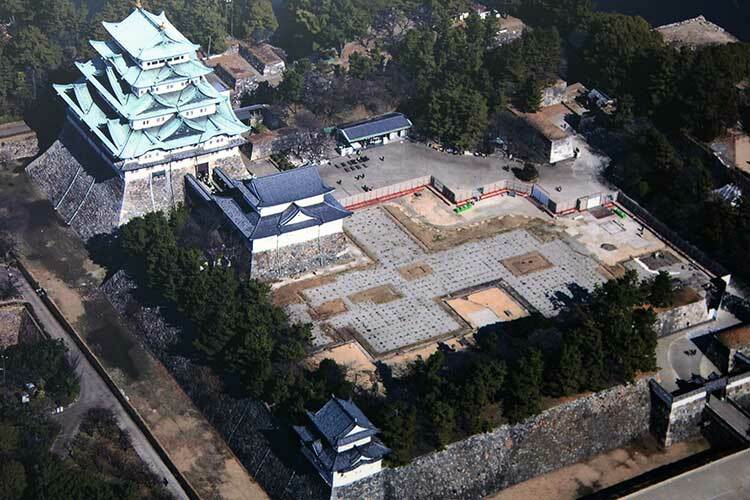 The Hommaru Palace was once located on the south side of the Nagoya Castle donjon. 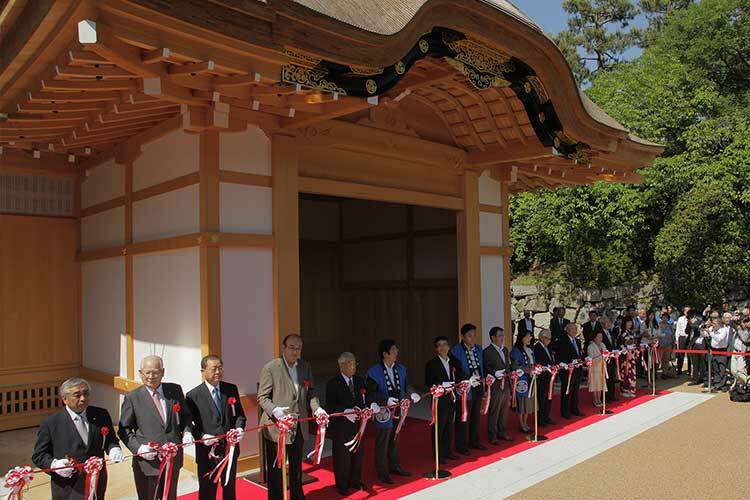 The Hommaru Palace was regarded as the finest masterpiece of modern castle architecture in Japan and along with the Ninomaru Palace at Nijo Castle in Kyoto , which is designated as a National Treasure, was considered to be the preeminent example of samurai style Shoin palace architecture. 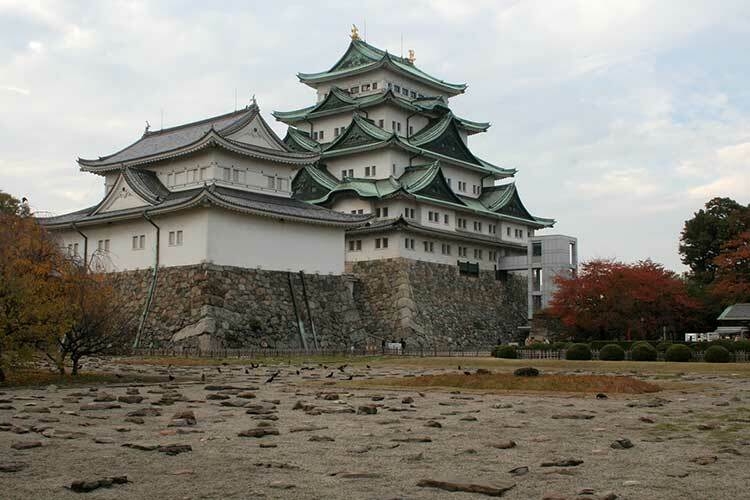 Nagoya Castle featured a unique castle architecture style with the heroic donjon and graceful palace erected adjacent to each other. 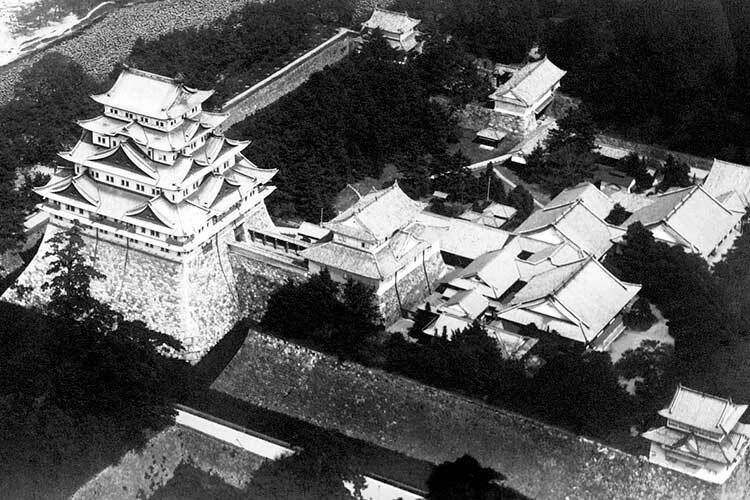 In 1930, Nagoya Castle was the first castle structure to be designated as a National Treasure but both the donjon and the palace were destroyed by fire during air raids in May 1945. 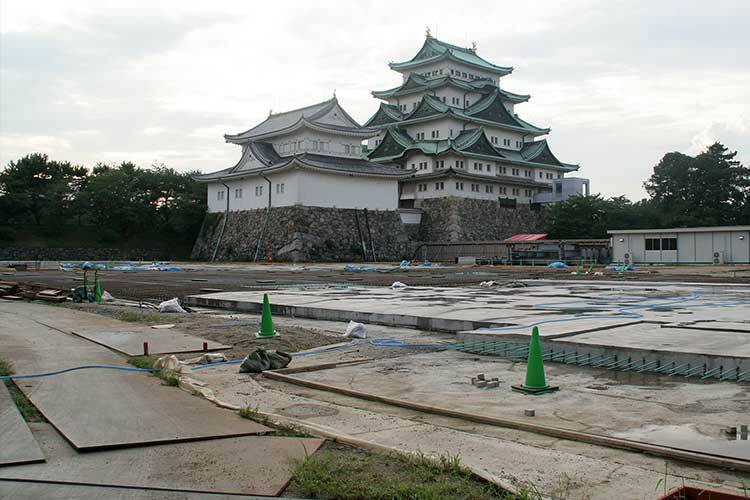 The Nagoya Castle donjon was rebuilt in 1959 as part of post-war rehabilitation efforts but hopes for the reconstruction of the Hommaru Palace are yet to be realized. 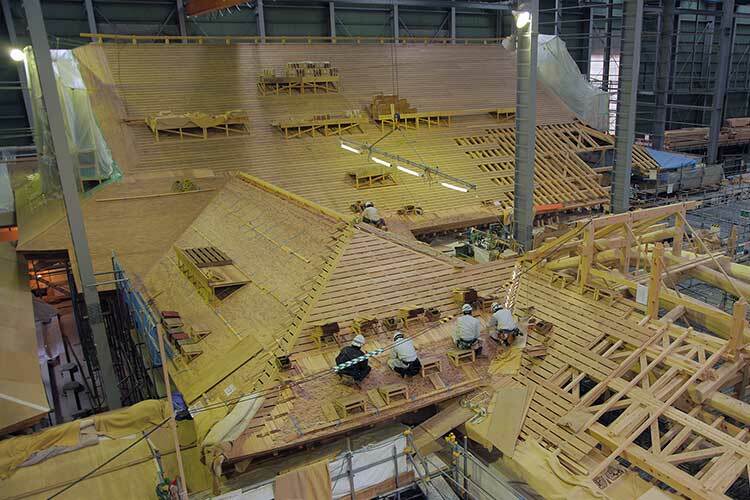 Edo period documents and a number of photographs and measured drawings of the Hommaru Palace remain to this day, making it a distinct possibility to faithfully bring the former palace back to life. 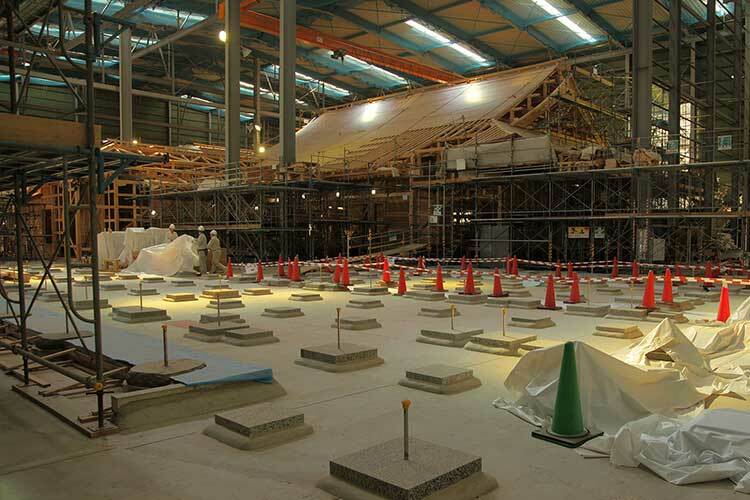 Restoration work began in January 2009, and Genkan, the entrance hall and Omote Shoin, the main hall opened to public viewing in 2013. 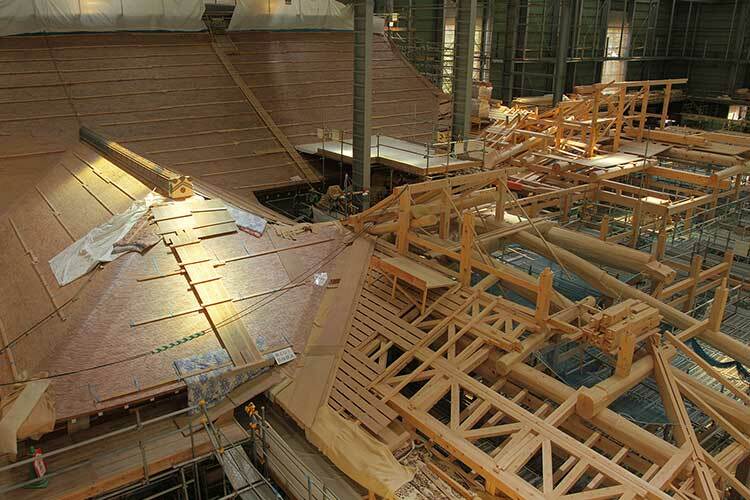 The restoration project is progressing in 3 stages. 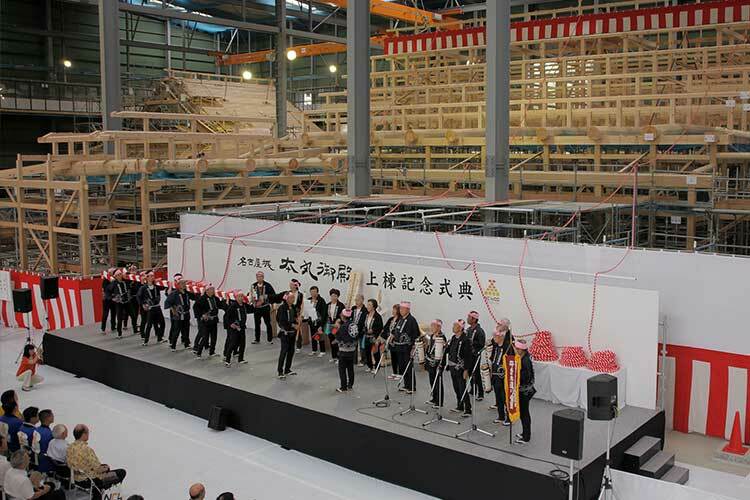 Taimenjo, the Reception Hall will be completed in 2016. 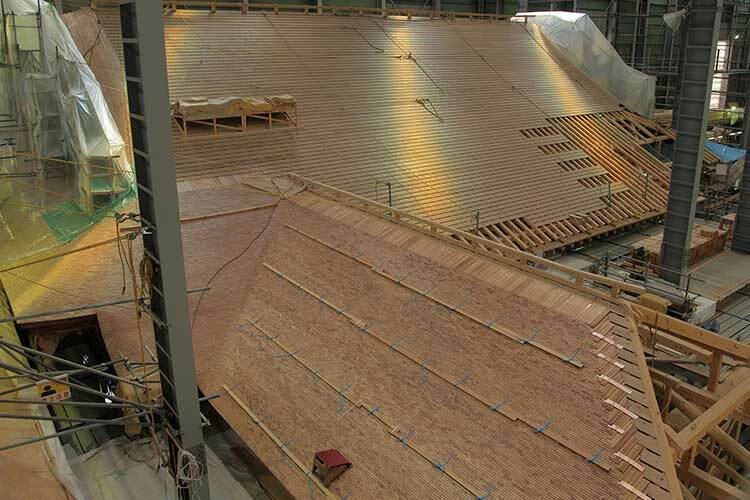 Completion of the entire project is scheduled for 2018. 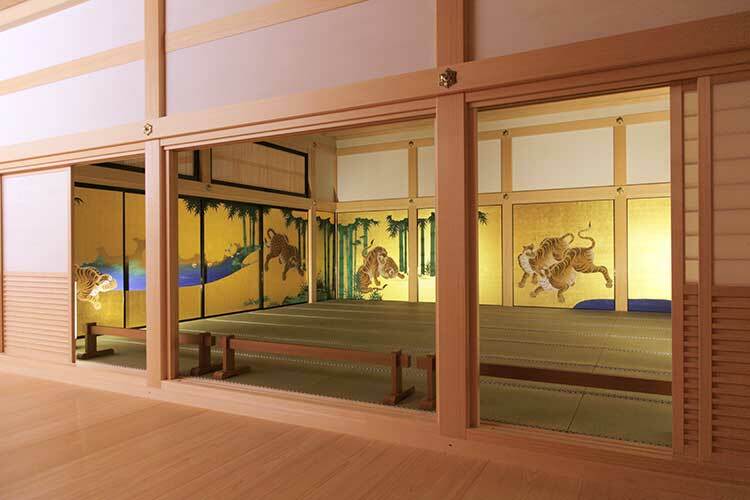 The walls and partitions inside the Hommaru Palace were painted according to a different theme for each room by masters such as Kano Sadanobu and Kano Tanyu of the Kano School , the greatest school of painting in the history of Japanese style painting, and thus the palace was magnificently awash with colour. 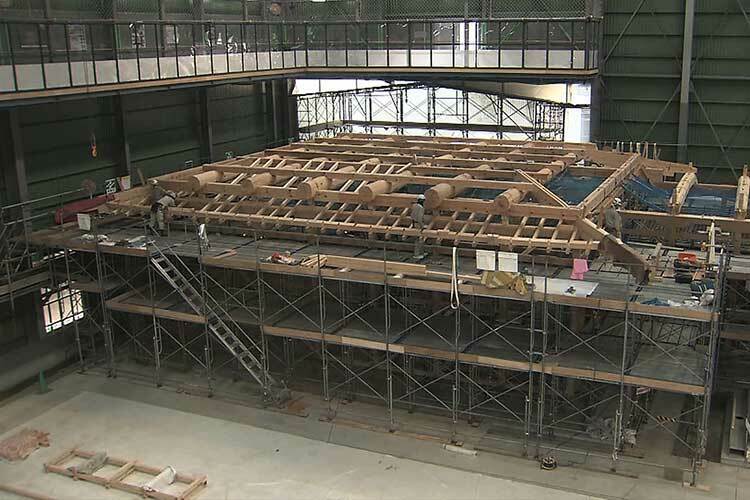 Although the Hommaru Palace was lost to fire during the war, many of the removable partitions and panels were saved from the fire and are carefully stored at present. 1,047 of these paintings are designated by Japan as Important Cultural Assets. Masters of the Kano School devoted all of their energy to painting these works of art. 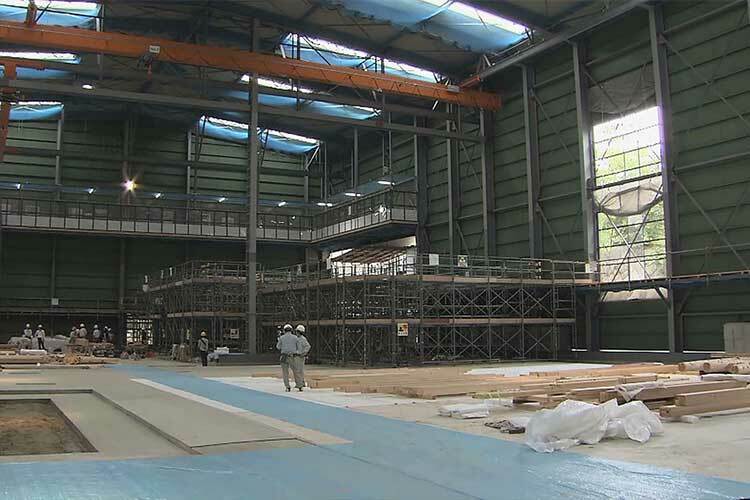 In order to revive the beauty and colour of these paintings, full-scale restoration and reproduction efforts have been underway since 1992 and once the reconstruction of the Hommaru Palace is complete they will be exhibited inside the palace. 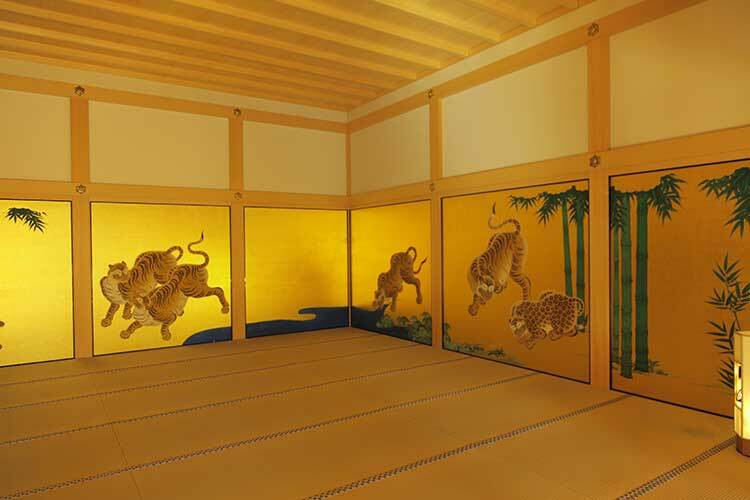 It is necessary to employ the same materials and techniques that the original masters used to faithfully restore the wall and sliding door paintings. 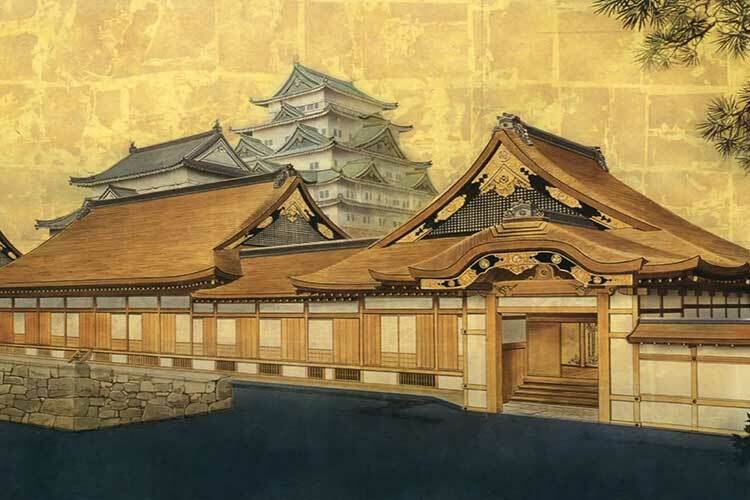 To realize this, modern painters involved in the project continue to try to replicate the sensibility and dynamism of Edo period painters and use microscopes, computers and historical materials to analyze and carry out reproduction work on a micro unit level. 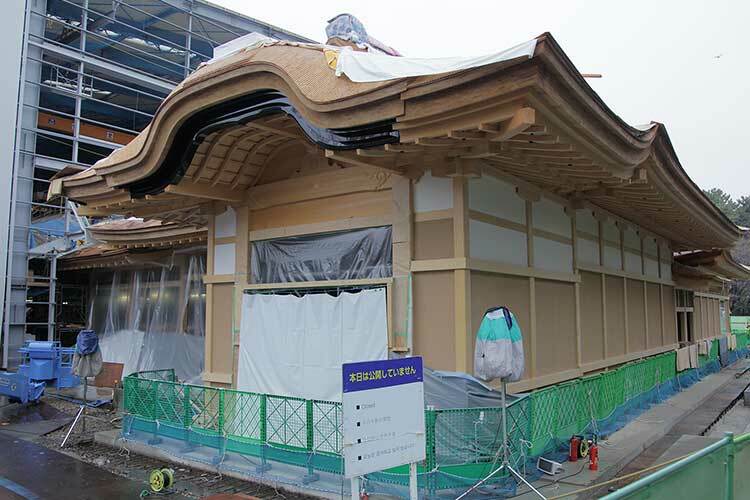 Based on its historical significance, the Hommaru Palace will be reconstructed using only traditional materials and construction methods as a general rule to ensure the restored palace will carry the same historical and cultural value as the original before it was burnt down. 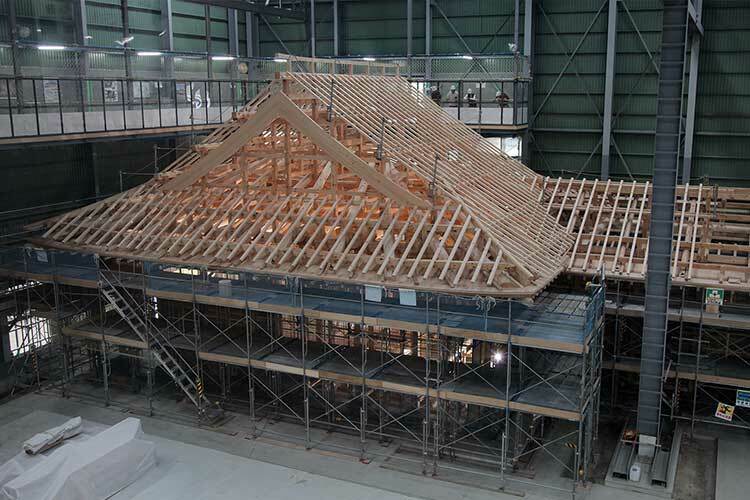 The restoration will emulate the Hommaru Palace of the Kanei era (1624-44) when the status of the palace was at its highest due to the “Jorakuden” extension which was necessary to accommodate visiting Shoguns on their way to Kyoto .